A new happening will be added to Rosemère’s cultural landscape when, for the very first time, the world of caricature stops over in downtown Rosemère from Friday to Sunday, May 27 to 29. 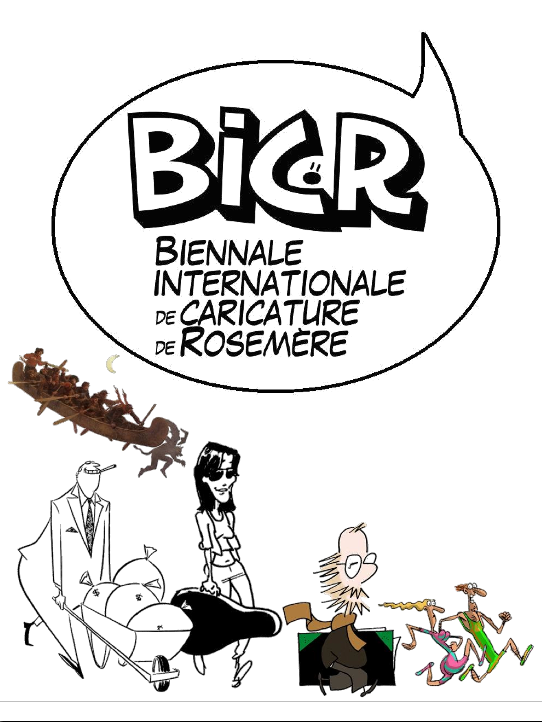 Patterned after a widespread European formula, the Biennale de caricature de Rosemère (International Caricature Biennial) promises a most colourful eyeful, under the honorary chairmanship of Bado, the renowned cartoonist of the daily newspaper Le Droit. Exhibitions, caricatures produced live, workshops for visitors, a conference, slide shows: nothing has been spared in an effort to offer families a most entertaining happening. For this first edition, the biennial will be presenting the works of well-known caricaturists from here at home, as well as two Americans and one French artist. This event will be held primarily at the municipal library, with some aspects presented at the Metro supermarket and the Café de la gare. Convinced that the caricature biennial will quickly become a “must”, the Town of Rosemère expressed its heartfelt appreciation to members of the organizing committee for their tireless involvement. Whether you are simply a fan of cartoons or a savvy observer interested in learning the tricks of the cartoonist’s trade, you won’t want to miss this event, which will be unfolding from May 27 to 29 at the Rosemère Municipal Library, 339 Grande-Côte. Click here for the complete program of the event and a presentation of participating caricaturists.